Diamond Details: 105 Round cut brown diamonds, of exquisite color weighing 3.00 carats total. Measurements: 7.25 Inches in length. 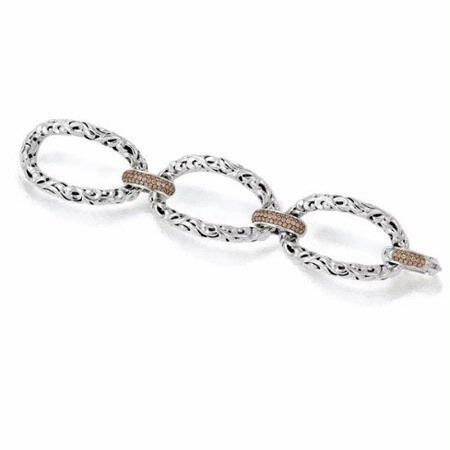 This magnificent Charles Krypell sterling silver 3 link bracelet, features 105 round cut brown diamonds, of exquisite color weighing 3.00 carats total. This 3 link bracelet is approximately 7.25 inches in length. We are an authorized Charles Krypell dealer. Please call for pricing 1-800-790-6980 or 1-212-302-2863.